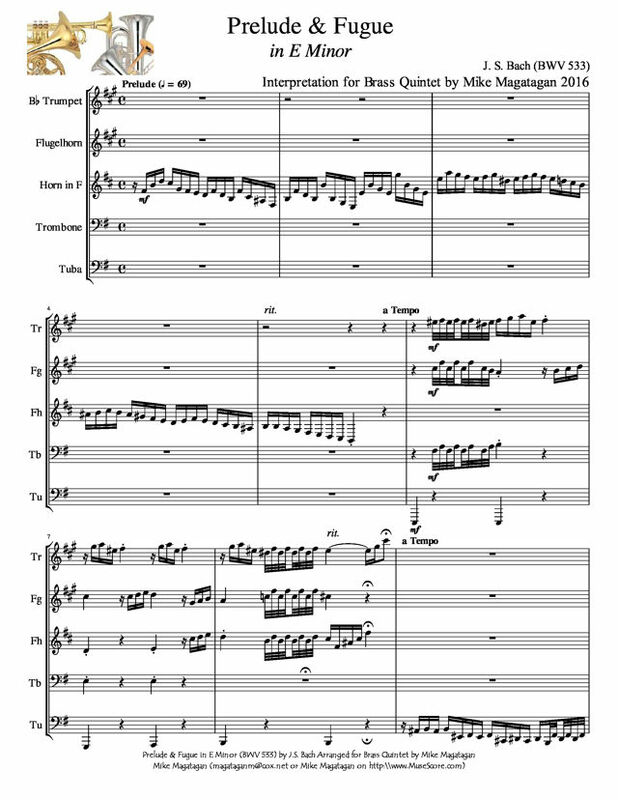 The "Cathedral" Prelude and Fugue is also listed in various Bach catalogs under the nicknames "Little" or "Petite." At about five minutes, it is among the shorter Preludes and Fugues, and thus its simpler moniker may be more appropriate than the seemingly nondescript "Cathedral," listed in the headnote here. This work was likely written during the first few years that Bach spent in Arnstadt, the city where he served as organist at the Neue Kirche from 1703-1707. It probably preceded Bach's study of Buxtehude's works (begun in 1705), which would have a profound influence on his keyboard compositions. In one respect the Prelude and Fugue in E minor here is unusual: most such works by Bach contain a slow section (usually the prelude) and a larger fast section (usually the fugue). Here, both are moderately paced, with the opening portion, the Prelude, at times stormy and restless, and filled with much intensity and drama. 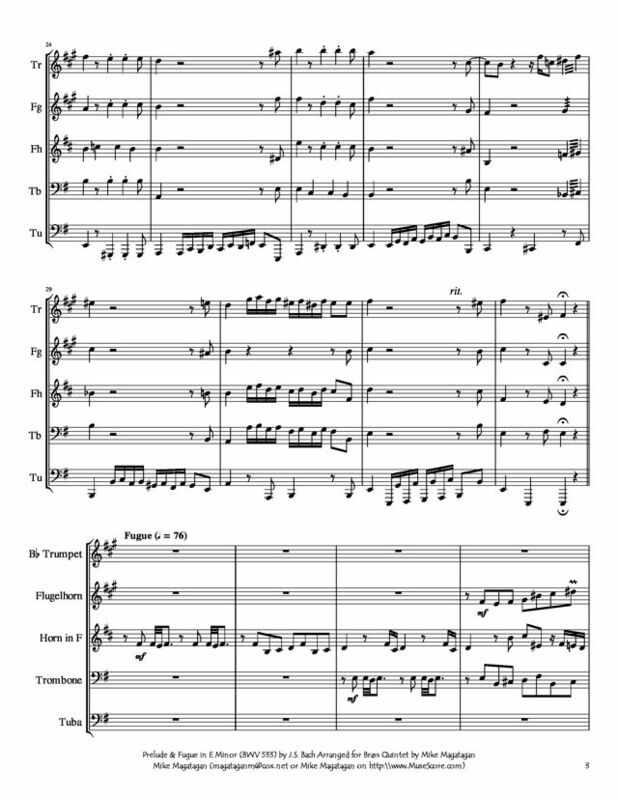 It is also stately in its seriousness, and contains very little contrapuntal writing, thereby setting the stage for the counterpoint-laden Fugue that follows. If the music in the Fugue comes across as relaxed -- at least by contrast -- it also conveys a busier sense, a feeling the mood is evolving from the serene but earthbound to the inspiring and heavenly. Perhaps the nickname "Cathedral" is not so nondescript after all? 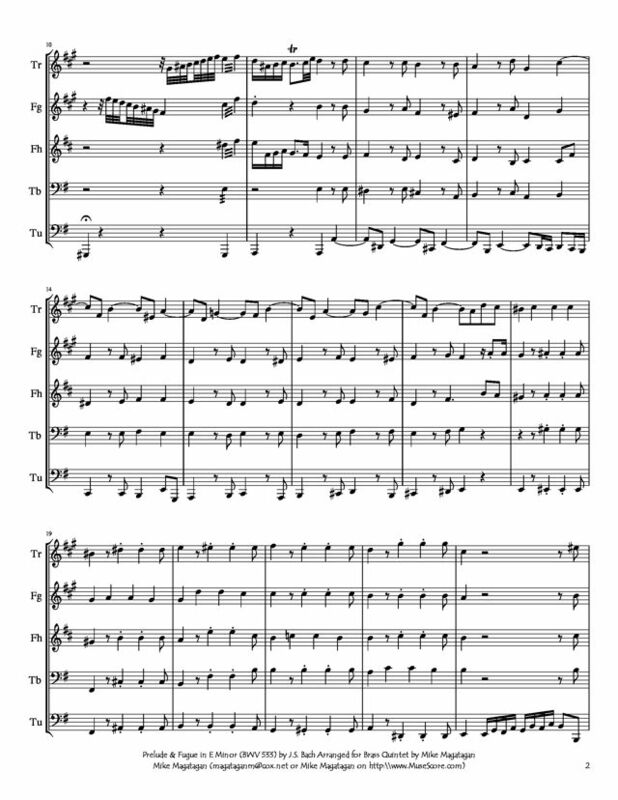 Although originally composed for Organ, I created this modern intrepretation for Brass Quintet (Bb Trumpet, Flugelhorn, French Horn, Trombone & F Tuba).